It’s a staple of science fiction, and something many people have fantasized about at one time or another: the idea of sending out spaceships with colonists and transplanting the seed of humanity among the stars. Between discovering new worlds, becoming an interstellar species, and maybe even finding extra-terrestrial civilizations, the dream of spreading beyond the Solar System is one that can’t become reality soon enough! Looking to the future of crewed space exploration, it is clear to NASA and other space agencies that certain technological requirements need to be met. Not only are a new generation of launch vehicles and space capsules needed (like the SLS and Orion spacecraft), but new forms of energy production are needed to ensure that long-duration missions to the Moon, Mars, and other locations in the Solar System can take place. One possibility that addresses these concerns is Kilopower, a lightweight fission power system that could power robotic missions, bases and exploration missions. In collaboration with the Department of Energy’s National Nuclear Security Administration (NNSA), NASA recently conducted a successful demonstration of a new nuclear reactor power system that could enable long-duration crewed missions to the Moon, Mars, and beyond. Known as the Kilopower Reactor Using Stirling Technology (KRUSTY) experiment, the technology was unveiled at a recent news conference on Wednesday, May 2nd, at NASA’s Glenn Research Center. According to NASA, this power system is capable of generating up to 10 kilowatts of electrical power – enough power several households continuously for ten years, or an outpost on the Moon or Mars. The prototype power system employs a small solid uranium-235 reactor core and passive sodium heat pipes to transfer reactor heat to high-efficiency Stirling engines, which convert the heat to electricity. This power system is ideally suited to locations like the Moon, where power generation using solar arrays is difficult because lunar nights are equivalent to 14 days on Earth. The Kilopower experiment was conducted at the NNSA’s Nevada National Security Site (NNSS) between November and March of 2017. In addition to demonstrating that the system could produce electricity through fission, the purpose of the experiment was also to show that it is stable and safe in any environment. For this reason, the Kilopower team conduct in the experiment in four phases. The first two phases, which were conducted without power, confirmed that each component in the system functioned properly. For the third phase, the team increased power to heat the core slowly before moving on to phase four, which consisted of a 28-hour, full-power test run. This phase simulated all stages of a mission, which included a reactor startup, ramp up to full power, steady operation and shutdown. Looking ahead, the Kilopower project will remain a part of NASA’s Game Changing Development (GCD) program. As part of NASA’s Space Technology Mission Directorate (STMD), this program’s goal is to advance space technologies that may lead to entirely new approaches for the Agency’s future space missions. Eventually, the team hopes to make the transition to the Technology Demonstration Mission (TDM) program by 2020. If all goes well, the KRUSTY reactor could allow for permanent human outposts on the Moon and Mars. It could also offer support to missions that rely on In-situ Resource Utilization (ISRU) to produce hydrazine fuel from local sources of water ice, and building materials from local regolith. Basically, when robotic missions are mounted to the Moon to 3D print bases out of local regolith, and astronauts begin making regular trips to the Moon to conduct research and experiments (like they do today to the International Space Station), it could be KRUSTY reactors that provide them will all their power needs. In a few decades, the same could be true for Mars and even locations in the outer Solar System. This reactor system could also pave the way for rockets that rely on nuclear-thermal or nuclear-electric propulsion, enabling missions beyond Earth that are both faster and more cost-effective! NASA has some pretty advanced concepts in mind when it comes to the next generation of space telescopes. These include the Transiting Exoplanet Survey Satellite (TESS), which recently took to space, as well as the James Webb Space Telescope (JWST) (scheduled to launch in 2020) and the Wide-Field Infrared Survey Telescope (WFIRST), which is still in development. Beyond these, NASA has also identified several promising proposals as part of its 2020 Decadal Survey for Astrophysics. But perhaps the most ambitious concept is one that calls for a space telescope made up of modules that would assemble themselves. This concept was recently selected for Phase I development as part of the 2018 NASA Innovative Advanced Concepts (NIAC) program. The team behind this concept is led by Dmitri Savransky, an assistant professor of mechanical and aerospace engineering at Cornell University. Along with 15 colleagues from across the US, Savransky has produced a concept for a ~30 meter (100 foot) modular space telescope with adaptive optics. But the real kicker is the fact that it would be made up of a swarm of modules that would assemble themselves autonomously. Prof. Savransky is well-versed in space telescopes and exoplanet hunting, having assisted in the integration and testing of the Gemini Planet Imager – an instrument on the Gemini South Telescope in Chile. He also participated in the planning of the Gemini Planet Imager Exoplanet Survey, which discovered a Jupiter-like planet orbiting 51 Eridani (51 Eridani b) in 2015. These modules would be launched independently and then navigate to the Sun-Earth L2 point using deployable solar sails. These sails will then become the planar telescope sunshield once the modules come together and assemble themselves, without the need for human or robotic assistance. While this may sound radically advanced, it is certainly in keeping with what the NIAC looks for. The target mission for this concept is the Large Ultraviolet/Optical/Infrared Surveyor (LUVOIR), a proposal that is currently being explored as part of NASA’s 2020 Decadal Survey. As one of two concepts being investigated by NASA’s Goddard Space Flight Center, this mission concept calls for a space telescope with a massive segmented primary mirror that measures about 15 meters (49 feet) in diameter. Much like the JWST, LUVOIR’s mirror would be made up of adjustable segments that would unfold once it deployed to space. Actuators and motors would actively adjust and align these segments in order to achieve the perfect focus and capture light from faint and distant objects. The primary aim of this mission would be to discover new exoplanets as well as analyze light from those that have already been discovered to asses their atmospheres. As Savransky and his colleagues indicated in their proposal, their concept is directly in line with the priorities of the NASA Technology Roadmaps in Science Instruments, Observatories, and Sensor Systems and Robotics and Autonomous Systems. They also state that the architecture is a credible means to construct a giant space telescope, which would not be possible for previous generations of telescopes like Hubble and the JWST. Having been granted a Phase I award, the team is planning to conduct detailed simulations of how the modules would fly through space and rendezvous with each other to determine how large the solar sails need to be. They also plan to conduct an analysis of the mirror assembly to validate that the modules could achieve the required surface figure once assembled. On June 5th and 6th, NASA will also be conducting an NIAC Orientation Meeting in Washington D.C., where all the Phase I winners will have a chance to meet and discuss their ideas. Other proposals that received a Phase I award include shape-shifting robots for exploring Titan, lightweight aerial sensors to explore Venus’ atmosphere, flapping-wing swarm robots to explore Mars, a new form of beam propulsion for interstellar missions (similar to Breakthrough Starshot), a steam-powered robot for ocean worlds, and a self-replicating habitat made from fungus. You can read more about these concepts, as well as those that were given Phase II award, here. When it comes to the future of space exploration, one of the greatest challenges is coming up with engines that can maximize performance while also ensuring fuel efficiency. This will not only reduce the cost of individual missions, it will ensure that robotic spacecraft (and even crewed spacecraft) can operate for extended periods of time in space without having to refuel. In recent years, this challenge has led to some truly innovative concepts, one of which was recently build and tested for the very first time by an ESA team. This engine concept consists of an electric thruster that is capable of “scooping” scarce air molecules from the tops of atmospheres and using them as propellant. This development will open the way for all kinds of satellites that can operate in very low orbits around planets for years at a time. The concept of an air-breathing thruster (aka. Ram-Electric Propulsion) is relatively simple. In short, the engine works on the same principles as a ramscoop (where interstellar hydrogen is collected to provide fuel) and an ion engine – where collected particles are charged and ejected. Such an engine would do away with onboard propellant by taking in atmospheric molecules as it passed through the top of a planet’s atmosphere. To develop this concept, the Italian aerospace company Sitael and the Polish aerospace company QuinteScience teamed up to create a novel intake and thruster design. Whereas QuinteScience built an intake that would collect and compress incoming atmospheric particles, Sitael developed a dual-stage thruster that would charge and accelerate these particles to generate thrust. The team then ran computer simulations to see how particles would behave across a range of intake options. But in the end, they chose to conduct a practice test to see if the combined intake and thruster would work together or not. To do this, the team tested it in a vacuum chamber at one of Sitael’s test facilities. The chamber simulated an environment at 200 km altitude while a “particle flow generator” provided the oncoming high-speed molecules. As a next step, the team partially replace xenon with a nitrogen-oxygen air mixture to simulate Earth’s upper atmosphere. As hoped, the engine kept firing, and the only thing that changed was the color of the thrust. The development of air-breathing electric thrusters could allow for an entirely new class of satellite that could operate with the fringes of Mars’, Titan’s and other bodies atmospheres for years at a time. With this kind of operational lifespan, these satellites could gather volumes of data on these bodies’ meteorological conditions, seasonal changes, and the history of their climates. Such satellites would also be very useful when it comes to observing Earth. Since they would be able to operate at lower altitudes than previous missions, and would not be limited by the amount of propellant they could carry, satellites equipped with air-breathing thrusters could operate for extended periods of time. As a result, they could offer more in-depth analyses on Climate Change, and monitor meteorological patterns, geological changes, and natural disasters more closely. Of all challenges presented by space exploration – and to be fair, there are many! – one of the greatest is the cost. When it comes right down to it, launching disposable rockets from Earth and getting them to the point where they can achieve escape velocity and reach space is expensive. In addition, these rockets need to be big, powerful, and be able to hold a lot of fuel in order to lift spacecraft or cargo. It is for this reason that so many efforts in the past few decades have been focused on reducing costs of individual launches. Between reusable rockets and reusable spacecraft (i.e the Space Shuttle), there are plenty of ways to make launch vehicles cheaper. But to the Jonathan Yaney, the founder of SpinLaunch, a real cost-cutting solution is to propel smaller payloads into orbit using a space catapult instead. The concept of a space catapult is simple, and has been explored at length since the beginning of the Space Age. Also known as a mass driver or coilgun, the concept relies on a set of powerful electromagnetic rails to accelerate spacecraft or payloads to escape velocity and launch them horizontally. Since the 1960s, NASA has been exploring the concept as an alternative to conducting rocket launches. In addition, NASA has been continued to develop this technology through the Marshall Space Flight Center and the Kennedy Space Center. Here, engineers have been working on ways to launch spacecraft horizontally using scramjets on an electrified track or gas-powered sled. A good example of this is the Magnetic Levitation (MagLev) System which uses the same technology as a maglev train to accelerate a small space plane into orbit. Another variation of the concept involves a centrifuge, where the spacecraft or cargo is accelerated on a circular track until it reaches escape velocity (and then launches). This concept was proposed by Dr. Derek Tidman – a physicists who specialized in electrothermal and electromagnetic acceleration – in the 1990s. Known as the Slingatron, this version of the space catapult is currently being researched by HyperV Technologies. However, these ideas were never adopted because vast improvements were needed in terms of electromagnetic induction technology in order to achieve the speeds necessary to put heavy payloads into space. But thanks to improvements in high-speed maglev trains, recent attempts to create Hyperloop pods and tracks, and the growth of the commercial aerospace market, the time may be ripe to revisit this concept. Such is the hope of Jonathan Yaney, an aerospace enthusiast who has a long history of co-founding startups. As he describes himself, Yaney is a “serial entrepreneur” who has spent the past 15 years founding companies in the fields of consulting, IT, construction, and aerospace. Now, he has founded SpinLaunch with the intention of launching satellites into space. According to a source cited by TechCrunch, SpinLaunch own design would apparently involve a centrifuge that accelerates payloads to speeds of up to 4,828 km/h (3,000 mph). Additionally, the cargo could be equipped with supplemental rockets in order to escape Earth’s atmosphere. By replacing rocket boosters with a kinetic launch system, SpinLaunch’s concept would rely on principles that are similar to those explored by NASA. But as he went on to explain, the method his company is exploring is different. “SpinLaunch employs a rotational acceleration method, harnessing angular momentum to gradually accelerate the vehicle to hypersonic speeds,” he said. “This approach employs a dramatically lower cost architecture with much lower power.” Utilizing this technology, Yaney estimates that the costs of individual launches could be reduced to $500,000 – essentially, by a factor of 10 to 200. Not much else is known about this startup. According to Bloomberg Financial, little is known about the company or its founder beyond a brief description. However, according to SEC documents cited by TechCrunch, Yaney was able to raise $1 million in equity in 2014 and $2.9 million in 2015 before being $2.2. million dollars in debt by mid-2017 and another $2 million in debt by late 2017. In the meantime, Yaney is looking to the public and to several big venture capital firms to raise the revenue he needs to make his vision become a reality. Of course, beyond the issue of financing, there are several technical barriers which still need to be addressed before a space catapult could be realized. The most obvious of these is how to overcome the air resistance produced by Earth’s dense atmosphere. There’s no indication of when such a system might be complete, but that’s to be expected at this point. However, with the support of the Hawaiian government and some additional capital, his company is likely to secure its Series A funding and begin moving to the next phase of development. Much like the Hyperloop, this concept may prove to be one of those ideas that keeps advancing because of the people who are willing to make it happen! When visionary entrepreneur Elon Musk founded SpaceX in 2002, he did so with the intention of rekindling human space exploration and sending humans to Mars. Intrinsic to this vision was the reduction of costs associated with individual launches, which has so far been focused on the development of reusable first-stage rockets. However, the company recently announced that they are looking to make their rocket’s payload fairings reusable as well. The payload fairing is basically the disposable shell at the top of the rocket that protects the cargo during launch. Once the rocket reaches orbit, the fairings falls away to release the payload to space and are lost. But if they could be retrieved, it would reduce launch cost by additional millions. Known as “Mr. Steven”, this new retrieval system consists of a platform ship, extended arms, and a net strung between them. Mr. Steven is not unlike SpaceX’s Autonomous Spaceport Drone Ships (ASDS), which are used to retrieve first stage rocket boosters at sea. SpaceX has two operational drone ships, including Just Read the Instructions – which is stationed in the Pacific to retrieve launches from Vandenberg – and Of Course I Still Love You, which is stationed in the Atlantic to retrieve launches from Canaveral. Recently, Teslarati’s Pauline Acalin captured some photographs of Mr. Steven while it was docked on the California coast near Vandenberg Air Force Base, where it preparing to head out to sea in support of the latest Falcon 9 launch. Known as the PAZ Mission, this launch will place a series of Spanish imaging satellites in orbit, as well as test satellites that will be part of SpaceX’s plan to provide broadband internet service. Originally scheduled for Wednesday, February 21st, the launch was scrubbed due to strong upper level winds. It is currently scheduled to take place at 6:17 a.m. PST (14:17 UTC) on Thursday, February 22nd, from Space Launch Complex 4 East (SLC-4E) at the Vandenburg Air Force Base. After the cargo is deployed to orbit, the fairings will fall back slowly to Earth thanks to a set of geotagged parachutes. These chutes will guide the fairings down to the Pacific Ocean, where Mr. Steven will sail to meet them. The fairings, if all goes as planned, will touch down gently into the net and be recovered for later use. In March of 2017, SpaceX successfully recovered a fairing for the first time, which allowed them to recoup an estimated $6 million dollars from that launch. At present, SpaceX indicates that the cost of an individual Falcon 9 launch is an estimated $62 million. If the payload fairings can be recovered regularly, that means that the company stands to recoup an additional 10% of every individual Falcon 9 launch. This news comes on the heels of SpaceX having successfully launched their Falcon Heavy rocket, which carried a Tesla Roadster with “Spaceman” into orbit. The launch was made all the more impressive due to the fact that two of the three rocket boosters used were successfully recovered. The core booster unfortunately crashed while attempted to land on one of the ASDS at sea. At this rate, SpaceX may even start trying to recover their rocket’s second stages in the not-too-distant future. If indeed all components of a rocket are reusable, the only costs associated with individual launches will be the one-time manufacturing cost of the rocket, the cost of fuel, plus any additional maintenance post-launch. For fans of space exploration and commercial aerospace, this is certainly exciting news! With every cost-cutting measure, the possibilities for scientific research and crewed missions increase exponentially. Imagine a future where it costs roughly the same to deploy space habitats to orbit as it does to deploy commercial satellites, and sending space-based solar arrays to orbit (and maybe even building a space elevator) is financially feasible! It might sound a bit fantastic, but when the costs are no longer prohibitive, a lot of things become possible. Every year, the Department of National Intelligence (DNI) releases its Worldwide Threat Assessment of the US Intelligence Community. This annual report contains the intelligence community’s assessment of potential threats to US national security and makes recommendations accordingly. In recent years, these threats have included the development and proliferation of weapons, regional wars, economic trends, terrorism, cyberterrorism, etc. This year’s assessment, which was released on February 8th, 2018, was certainly a mixed bag of warnings. Among the many potential threats to national security, the authors emphasized the many recent developments taking place in space. According to their assessment, the expansion of the global space industry, growing cooperation between the private and public sector, and the growth of various states in space, could constitute a threat to US national security. Naturally, the two chief actors that are singled out were China and Russia. As they indicate, these countries will be leading the pack in the coming years when it comes to expanding space-based reconnaissance, communications and navigation systems. This will not only enable their abilities (and those of their allies) when it comes to space-based research, but will have military applications as well. A key aspect of this development is outlined in the section titled “Emerging and Disruptive Technology,” which addresses everything from the development of AI and internet technologies to additive manufacturing and advanced materials. In short, it not just the development of new rockets and spacecraft that are at issue here, but the benefits brought about by cheaper and lighter materials, more rapid information sharing and production. “Emerging technology and new applications of existing technology will also allow our adversaries to more readily develop weapon systems that can strike farther, faster, and harder and challenge the United States in all warfare domains, including space,” they write. The authors further anticipate that Russian and Chinese destructive ASAT technology could reach operational capacity within a few years time. To this end, they cite recent changes in the People’s Liberation Army (PLA), which include the formation of military units that have training in counter-space operations and the development of ground-launched ASAT missiles. While they are not certain about Russia’s capability to wage ASAT warfare, they venture that similar developments are taking place. Another area of focus is the development of directed-energy weapons for the purpose of blinding or damaging space-based optical sensors. This technology is similar to what the US investigated decades ago for the sake of strategic missile defense – aka. the Strategic Defense Initiative (SDI). While these weapons would not be used to blow up satellites in the conventional sense, they would be capable of blinding or damaging sensitive space-based optical sensors. On top of that, the report cites how Russia and China continue to conduct on-orbit activities and launching satellites that are deemed “experimental”. A good example of this was a recent proposal made by researchers from the Information and Navigation College at China’s Air Force Engineering University. The study which detailed their findings called for the deployment of a high-powered pulsed ablative laser that could be used to break up space junk. While the authors admit that such technology can have peaceful applications – ranging from satellite inspection, refueling and repair – they could also be used against other spacecraft. While the United States has been researching the technology for decades, China and Russia’s growing presence in space threatens to tilt this balance of power. For example, the Outer Space Treaty bars signatories from placing weapons of mass destruction in orbit of Earth, on the Moon, on any other celestial body, or in outer space in general. By definition, this referred to nuclear devices, but does not extend to conventional weapons in orbit. This leaves room for antisatellite platforms or other conventional space-based weapons that could constitute a major threat. All told, the report makes some rather predictable assessments. Given China and Russia’s growing power in space, it is only natural that the DNI would see this as a potential threat. However, that does not mean that one should assume an alarmist attitude. When it comes to assessing threats, points are awarded for considering every contingency. But if history has taught us anything, it’s that assessment and realization are two very different things. Remember Sputnik? The lesson there was clear. Don’t panic! The Curiosity Rover has made some incredible discoveries during the five years it has been operating on the surface of Mars. And in the course of conducting its research, the rover has also accrued some serious mileage. However, it certainly came as a surprise when during a routine examinations in 2013, members of the Curiosity science team noted that its wheels had suffered rips in their treads (followed by breaks reported in 2017). Looking to the future, researchers at NASA’s Glenn Research Center hope to equip next-generation rovers with a new wheel. It is based on the “Spring Tire“, which NASA developed with Goodyear back in the mid-2000s. However, rather than using coiled steel wires woven into a mesh pattern (which was part of the original design) a team of NASA scientists has created a more durable and flexible version which could revolution space exploration. When it comes right down to it, the Moon, Mars, and other bodies in the Solar System have harsh, punishing terrain. In the case of the Moon, the main issue is the regolith (aka. Moon dust) which covers the majority of its surface. This fine dust is essentially jagged bits of lunar rock which play havoc with engines and machine components. On Mars, the situation is slightly different, with regolith and sharp rocks covering most of the terrain. In 2013, after just a year on the surface, the Curiosity rover’s wheels began to show signs of wear and tear due it traversing unexpectedly harsh terrain. This led many to worry that the rover might not be able to complete its mission. 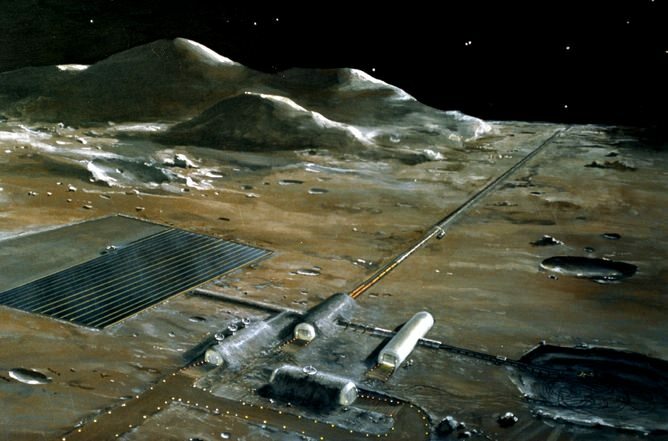 It also led many at NASA’s Glenn Research Center to reconsider a design they had been working on almost a decade prior, which was intended for renewed missions to the Moon. For NASA Glenn, tire development has been a focus of research for about a decade now. In this respect, they are returning to a time-honored tradition of NASA engineers and scientists, which began back in the Apollo era. At the time, both the American and Russian space programs were evaluating multiple tires designs for use on the lunar surface. Overall, three major designs were proposed. First, you had the wheels specially designed for Lunokhod rover, a Russian vehicle whose name literally translates to “Moon Walker”. The wheel design for this rover consisted of eight rigid-rim, wire-mesh tires that were connected to their axles by bicycle-type spokes. Metal cleats were also mounted on the outside of the tire to ensure better traction in the lunar dust. Then there was NASA’s concept for a Modularized Equipment Transporter (MET), which was developed with the support of Goodyear. This unpowered cart came with two nitrogen-filled, smooth rubber tires to make it easier to pull the cart through lunar soil and over rocks. And then there was the design for the Lunar Roving Vehicle (LRV), which was the last NASA vehicle to visit the Moon. This crewed vehicle, which Apollo astronauts used to drive around on the challenging lunar surface, relied on four large, flexible wire-mesh wheels with stiff inner frames. During the mid-2000s, when NASA began planning on mounting new missions to the Moon (and future missions to Mars), they began reevaluating the LRV tire and incorporating new materials and technologies into the design. The fruit of this renewed research was the Spring Tire, which was the work of mechanical research engineer Vivake Asnani, who worked closely with Goodyear to develop it. The design called for an airless, compliant tire made up of hundreds of coiled steel wires, which were then woven into a flexible mesh. This not only ensured light weight, but also gave the tires the ability to support high loads while conforming to the terrain. To see how the Spring Tire would fare on Mars, engineers at NASA’s Glenn Research Center began testing them in the Slope lab, where they ran them through an obstacle course that simulated the Martian environment. While the tires performed generally well in simulated sand, they experienced problems when the wire mesh deformed after passing over jagged rocks. Despite working at JPL for ten years, Padua had not seen the Slope lab before and accepted an invitation to see what they were working on. After entering the lab and looking at the Spring Tires they were testing, Padua asked if they were experiencing problems with deformation. When Creager admitted that they were, Padua proposed a solution which just happened to be his field of expertise. The key to shape memory alloys is their atomic structure, which is assembled in such a way that the material “remember” its original shape and is able to return to it after being subjected to deformation and strain. After building the shape memory alloy tire, the Glenn engineers sent it to the Jet Propulsion Laboratory, where it was tested in the Mars Life Test Facility. Overall, the tires not only performed well in simulated Martian sand, but were able to withstand going over punishing rocky outcroppings without difficulty. Even after the tires were deformed all the way down to their axles, they were able to retain their original shape. They also managed to do this while carrying a significant payload, which is another prerequisite when developing tires for exploration vehicles and rovers. The first available opportunity to test these tires out is just a few years away, when NASA’s Mars 2020 Rover will be sent to the surface of the Red Planet. Once there, the rover will pick up where Curiosity and other rovers have left off, searching for signs of life in Mars’ harsh environment. The rover is also tasked with preparing samples that will eventually be returned to Earth by a crewed mission, which is expected to take place sometime in the 2030s. When it comes to the future of space exploration, a number of new technologies are being investigated. Foremost among these are new forms of propulsion that will be able to balance fuel-efficiency with power. Not only would engines that are capable of achieving a great deal of thrust using less fuel be cost-effective, they will be able to ferry astronauts to destinations like Mars and beyond in less time. This is where engines like the X3 Hall-effect thruster comes into play. This thruster, which is being developed by NASA’s Glenn Research Center in conjunction with the US Air Force and the University of Michigan, is a scaled-up model of the kinds of thrusters used by the Dawn spacecraft. During a recent test, this thruster shattered the previous record for a Hall-effect thruster, achieving higher power and superior thrust. 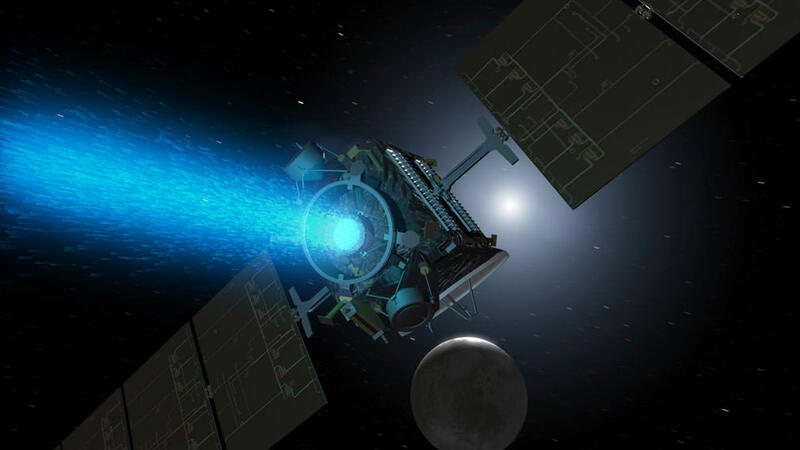 Hall-effect thrusters have garnered favor with mission planners in recent years because of their extreme efficiency. They function by turning small amounts of propellant (usually inert gases like xenon) into charged plasma with electrical fields, which is then accelerated very quickly using a magnetic field. Compared to chemical rockets, they can achieve top speeds using a tiny fraction of their fuel. However, a major challenge so far has been building a Hall-effect thruster that is capable of achieving high levels of thrust as well. While fuel efficient, conventional ion engines typically produce only a fraction of the thrust produced by rockets that rely on solid-chemical propellants. Hence why NASA has been developing the scaled-up model X3 thruster in conjunction with its partners. In recent tests, the X3 shattered the previous thrust record set by a Hall thruster, achieving 5.4 newtons of force compared with the old record of 3.3 newtons. The X3 also more than doubled the operating current (250 amperes vs. 112 amperes) and ran at a slightly higher power than the previous record-holder (102 kilowatts vs. 98 kilowatts). This was encouraging news, since it means that the engine can offer faster acceleration, which means shorter travel times. 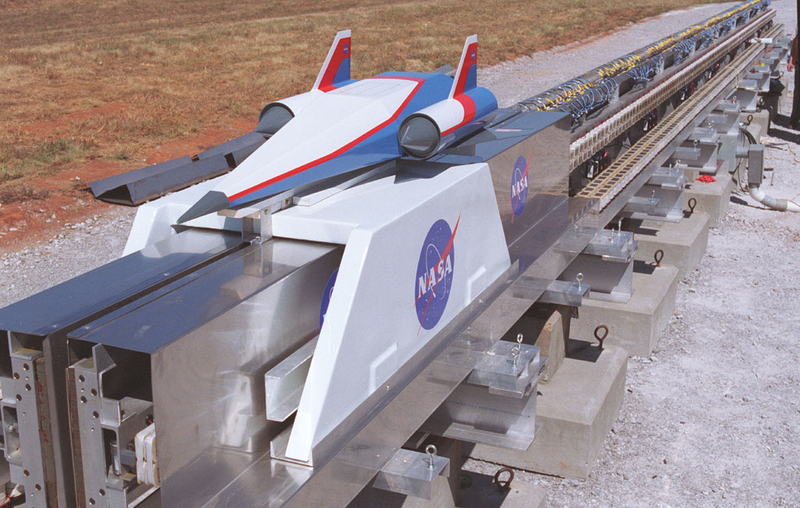 The test was carried about by Scott Hall and Hani Kamhawi at the NASA Glenn Research Center in Cleveland. Whereas Hall is a doctoral student in aerospace engineering at U-M, Kamhawi is NASA Glenn research scientist who has been heavily involved in the development of the X3. In addition, Kamhawi is also Hall’s NASA mentor, as part of the NASA Space Technology Research Fellowship (NSTRF). This test was the culmination of more than five years of research which sought to improve upon current Hall-effect designs. To conduct the test, the team relied on NASA Glenn’s vacuum chamber, which is currently the only chamber in the US that can handle the X3 thruster. This is due to the sheer amount of exhaust the thruster produces, which can result in ionized xenon drifting back into the plasma plume, thus skewing the test results. NASA Glenn’s setup is the only one with a vacuum pump powerful enough to create the conditions necessary to keep the exhaust clean. Hall and Kamhawi also had to build a custom thrust stand to support the X3’s 227 kg (500 pound) frame and withstand the force it generates, since existing stands were not up to the task. After securing a test window, the team spent four weeks prepping the stand, the thruster, and setting up all the necessary connections. All the while, NASA researchers, engineers and technicians were on hand to provide support. After 20 hours of pumping to achieve a space-like vacuum inside the chamber, Hall and Kamhawi conducted a series of tests where the engine would be fired for 12-hours straight. Over the course of 25 days, the team brought the X3 up to its record-breaking power, current and thrust levels. Looking ahead, the team plans to conduct more tests in Gallimore’s lab at U-M using an upgraded vacuum chamber. These upgrades will are schedules to be completed by January of 2018, and will enable the team to conduct future tests in-house. This upgrade was made possible thanks to a $1 million USD grant, contributed in part by the Air Force Office of Scientific Research, with additional support provided by the Jet Propulsion Laboratory and U-M. The X3’s power supplies are also being developed by Aerojet Rocketdyne, the Sacramento-based rocket and missile propulsion manufacturer that is also the lead on the propulsion system grant from NASA. By Spring of 2018, the engine is expected to be integrated with these power systems; at which point, a series of 100-hour tests that will once again be conducted at the Glenn Research Center. The X3 is one of three prototypes that NASA is investigating for future crewed missions to Mars, all of which are intended to reduce travel times and reduce the amount of fuel needed. Beyond making such missions more cost-effective, the reduced transit times are also intended to reduce the amount of radiation astronauts will be exposed to as they travel between Earth and Mars. The project is funded through NASA’s Next Space Technologies for Exploration Partnership (Next-STEP), which supports not just propulsion systems but also habitat systems and in-space manufacturing. Back in 2012, Elon Musk proposed a revolutionary idea that he described as the “fifth form of transportation“. Known as the Hyperloop, his proposal called for the creation of a high-speed mass transit system where aluminum pod cars traveled through a low-pressure steel tube. This system, he claimed, would be able to whisk passengers from San Francisco to Los Angeles in just 35 minutes. At the time, Musk claimed he was too busy to build such a system, but that others were free to take a crack at it. Nevertheless, the SpaceX founder has remained involved in the Hyperloop’s development by hosting the Hyperloop Pod Design Competition, an incentive competition involving student and engineering teams. The second of these competitions was recently held and featured some impressive pods achieving impressive speeds. The Pod Design Competition was first announced in June of 2015, and was quickly joined by over 700 teams. By January of 2017, 100 teams were selected to take part in the first competition, which was held from January 27th to 29th at the SpaceX’s Hyperloop Test Track (located in Hawthorne, California). Also known as the Hypertube, this track consists of a partial-vacuum steel tube that measures 1.6 km (1 mi) long and 1.83 meters in diameter. The winning design, which was provided by a team from MIT, consisted of a car that would rely on electrodynamic suspension to achieve a cruising speed of 110 m/s (396 km/h; 246 mph). Based on the positive response and submissions from the first competition, SpaceX decided to hold the Hyperloop Pod Competition II, which took place this past weekend (August 25th to 27th, 2017) at their Hypertube test track. Whereas the first competition involved a series of tests designed to accelerate the development of prototypes, the second had only one criterion: maximum speed. The competition was open to both new and returning teams, the latter of which had already tested their pods in the first competition. Twenty-five teams registered in the competition, representing universities and technical institutions from all over the world. But in the end, only three teams made the cut and competed on Sunday, August 27th, having met the pre-run criteria. The winning entry came from WARR Hyperloop, a team made up of student from the Technical University of Munich. During the test run, their pod achieved a top speed of 324 km/h ( 201 mph), which was far in excess of the second place team. It was even more impressive than WARR’s previous test run during the first competition – where their pod achieved a maximum speed of about 93 km (58 mph). The WARR pod was also the only one that attempted to reach its maximum speed during the competition. Their success was due in part to the pod’s design, which is fabricated from carbon fiber to ensure that it is lightweight and durable. Musk posted the video of the WARR pod’s performance on Twitter and to his Instagram account (see below). He also announced that SpaceX and his latest startup – The Boring Company – will be hosting a third pod design competition next year. The stakes, he claimed, would be even higher for this competition, with pods expected to reach speeds of over 500 km/h (310 mi) on the test track. While this is still far from the speeds that Musk originally envisioned in his white paper – up to 1280 km/h (800 mph) – it does represent a significant progression. And with six startups now looking to make the Hyperloop a reality – including Hyperloop Transportation Technologies (HTT) and Hyperloop One – the only question is, how long before the “fifth mode of transportation” becomes a reality?